They met at a wild party, and neither forgot the experience. Each came away with a completely different perception of what happened when Judith Reid, an ill-at-ease, 17-year-old college student, captured Dev McAllister’s attention. He succeeded in breaking through her icy demeanor, but the minute things heated up, she ran. He tried everything he could think of to get her to go out with him only to be rejected. Finally, he admitted defeat and accepted the truth as he saw it. Judith Reid was a snob, no different from all those other women he’d met through his wealthy college roommate. In fact, she was worse because she had him believing in love at first sight, when in reality, she seduced him and left him wanting. He swore to even the score no matter how long it took. Judith, a commercial interior designer, is lured into his grasp with the prospect of remodeling an office building Dev knows holds significance for her. However, his plans backfire, and from the moment he sees Judith again, he’s captivated and struggles against another empty seduction. 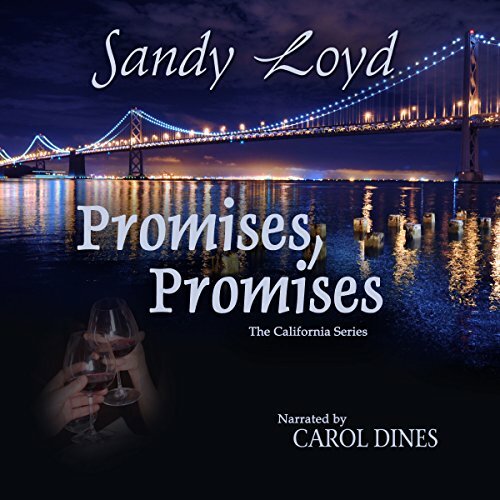 Promises, Promises is the second in the California series where four friends caught in a time warp can’t move on because they’re stuck on their idea of their perfect dreams. But sometimes life works in mysterious ways, and they are forced by circumstances to change.